Music Publishing 101, Part 4: Show me the money! To exercise control over these rights, a music publisher issues licenses to authorize various uses falling into this bundle of rights. For example, if a company wants to reproduce and distribute a copyright in a musical composition, the publisher will issue a mechanical license to a record label, for example. Mechanical royalties are a primary source of income for music publishers. In the United States, the U.S. Copyright Office sets the rate for mechanical royalties, which is currently 9.1 cents for songs that are 5 minutes or less, and 1.75 cents per minute for songs exceeding 5 minutes. The current mechanical royalty and historical rates can be found at the Harry Fox Agency’s website. The Harry Fox Agency administers licenses for, and collects and distributes royalties to its member of the National Music Publishers Association, although a music publisher can, and often does, perform this task on its own Since the rate is always subject to increase, a music publisher should also request language in the license that provides that payment is made at the rate in effect at the time the product is distributed. Another major source of income for music publishers is public performance royalties. in the United States, these royalties are almost always collected by the three major performance rights organizations, ASCAP, BMI & SESAC. Outside the U.S., each country has its own performances rights organizations. See the “Resources” page on my blog for a list of and links to many of these. As discussed in Part 2 of this series, music publishers, as well as songwriters, affiliate with (i.e., enter into an agreement with) the performance rights organization to enable them to track airplay and live performances, and collect and distribute the royalties. Performance rights organizations issues “blanket” licenses to radio stations, television stations, large nightclubs, large restaurant chains, and retail source so that these entities can play the music of their affiliated songwriters and publishers. In exchange, these venues pay the performance rights organizations fees based on the anticipated usage. The societies then use varying formulas based on such factors as airplay and usage to issue payment to its affiliate songwriters and publishers. The music publisher issues a synchronization license to the producers of television shows, movies and commercial advertisements for reproduction and distribution of the work. The “sync f ee” is usually a one time payment, varying from the hundreds of dollars to hundreds of thousands, dependent upon numerous factors such as the length of the segment in which the song is used, the prominence of the song in the scene (whether it is prominently featured or in the background), and whether it is the primary focus of the scene (as, for example, BTO’s old song Takin’ Care of Business as used in the Office Depot commercials). The publisher typically splits this type of revenue equally with the songwriter. A less generous source of income, but still significant nonetheless, is revenue generated by printing sheet music and lyrics. This is a type of public display, but can also fall into the category of reproduction and distribution. 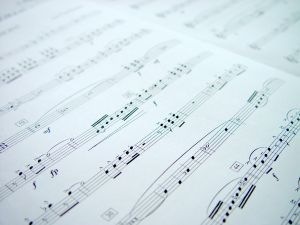 Print licenses are most commonly issued to publishers of individual sheet music (sometimes called “piano copies”) and so-called “folios” (a collection of sheet music by a particular artist) and sheet music collections. Income is also generated when lyrics to musical compositions are reprinted in a publication, such as, for example, when a book is printed in connection with a movie. How much of this income is given to the songwriter varies widely, as it is sometimes based on percentage basis, but also can be on a flat, cent rate, e.g, 15 cents per copy. When a percentage basis is used, it is sometime based on wholesale, sometimes retail. The general trend among publishers in past years, however, is to split everything equally on a 50/50 basi s.
Of course, one rapidly growing area of revenue is in the arena of technology, i.e., computer software, multimedia products, singing greeting cards, DVD’s and particularly ringtones. Though these usages also involve the reproduction and distribution rights, they generally require specialized licenses and the rates a very market driven. Again, it is customary for a music publishers to split these fees equally with the songwriter. Finally, a very significant source of income for a music publisher is foreign sub-publishing. Outside of the U.S., music publishers solicit foreign sub-publishers on a territory by territory basis. The arrangement is generally exclusive, meaning that the foreign publisher has the rights to exploit the music publisher’s entire catalogue of songs within that territory, including the entire bundle of rights, and issue mechanical, performance, synchronization and print licenses for the usage of the music. Typically, the U.S. publisher will receive 75% of the income generated by the foreign sub-publisher, while the sub-publisher retains 25%. The sub-publisher does not receive any ownership interest in the copyright and usually pays the U.S. publisher a significant advance on future royalties, dependent in large part on the amount of income the catalogue has generated in the U.S. Foreign income is often the subject of intense negotiation in writer deals, but very often a songwriter will receive half of everything the U.S. publisher receives, or 37.5 cents of the 75 cents received by the publisher. Once a music publisher begins to receive income from the exploitation of the copyrights it has acquired, it must begin to distribute the income to the appropriate writers. Understanding the basic principles of copyright ownership and royalty splits is fundamental to performing the task of distribution of income. 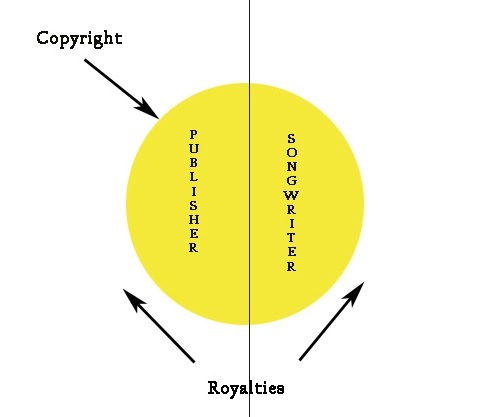 One device that is often used to illustrate the concepts involved is a “pie” that represents the split of income as between the publisher and the songwriter (this diagram is borrowed from the Berklee School of Music). To fully understand this illustration, however, it is necessary to overlay the ownership of copyright which, in a typical arrangement, belongs 100% to the music publisher. In simple terms, when a songwriter signs an exclusive songwriting agreement with a music publisher, the songwriter is agreeing to give up one hundred percent of the copyright (represented by the yellow circle in my illustration), for which the publisher agrees to pay the songwriter an equal share, usually 50%, of the royalty income stream (the dividing line in the illustration) for the duration of the copyright. So, for every dollar the publisher receives in net income from the exploitation of the copyright (the publisher will recoup certain expenses, such a de mo costs, advances and administration fees — all of course subject to negotiation), it pays the songwriter fifty cents. The only exception to this concept is that performance royalties, paid by ASCAP, BMI & SESAC, are paid by these organizations directly to the songwriter and publisher respectively, so that this income stream does not get filtered through the publisher. 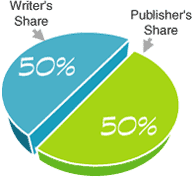 The portion of the royalty stream paid to the songwriter is often referred to in the music industry as the writer’s share, while the portion the publisher keeps is called the publisher’s share. If a songwriter has enough clout to negotiate a partial participation in the publisher’s share of income, he will attempt to negotiate what is called a “co-Publishing” deal. 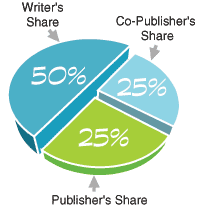 In this type of deal, the songwr iter actually owns half of the copyright (half of the yellow circle in the above-illustration), and is entitled to received 50% of the publisher’s 50% share of the income, or an additional 25%. This equates to 75 cents for every dollar of publishing income received (the songwriter’s share of the royalty pie, plus half of the publisher’s half of the pie). These principles begin to get even more convoluted when songs are co-written by myriads of songwriters, which happens all too often in Nashville. Take, for example, the song More than a Memory, recorded by Garth Brooks, currently climbing the Billboard Country charts. That particular song has three (3) co-writers and six (6) publishers listed in the credits (incidentally, if you want to gain a good understanding of music publishing, buy yourself a recent copy of Billboard magazine and study the “Singles & Tracks Song Index” that details the publisher information). So, assuming for illustration purposes that the three writers have participation deals with their publisher (this appears to be the case since there are six publishers), then each writer would own 16.666% of the copyright and would each be entitled to 25 cents of each dollar received. Three of the six publishing companies likely belong to the songwriters themselves (and one-third of the income just described would be paid by the entity through which they self-publish), and the remaining three publishers would split the remaining 25 cents, entitling them to about 8.5 cents each. To further complicate matters, any portion of the royalty stream can be sold and/or encumbered, as can the publishing interests. In addition, both music publishers and songwriter are often the party to an administration deal in which an administrator issues licenses and collects royalties for the copyright owner in exchange for a percentage of the income, usually 10-15%. So, to continue using the example in the previous paragraph, if one of the co-writers of More than a Memory has an administration deal in which she pays 10%, then her share of the $1.00 would be 22.5 cents, because she paid her administrator 2.5 cents. One thing is certain, the music publishing industry most often applies the converse of Occam’s Razor, i.e., the principle that, all things being equal, the simplest solution is best! This article is not intended as legal advise. Should you require advise regarding an music publishing issue, you should consult with a competent entertainment attorney. From a legal perspective, the formation of a music publishing company is, in most respects, very similar the formation of any other type of company, except that the documentation is tailored specifically for the business of music publishing. With the exception of a sole proprietorship, these entities can take on several forms, such a a limited partnership as opposed to a general partnership, an S-Corporation as opposed to a C-Corp, and a member managed LLC as opposed to a manager managed LLC, just to illustrate a few of the iterations. You are strongly advised to seek the counsel of a qualified entertainment attorney and a music business accountant prior to establishing your company. The decision as to which type of entity to create impacts the liability to which the individual members of the entity can be exposed. In a partnership, for example, each individual member of the partnership is liable for the actions of the other partner or partners. Of course, a sole proprietor is liable for his or her own actions as well. Only corporations and limited liability companies shield the indivudal members from liability impacting their personal assets. For this reason, when forming a music publishing company, it is most frequently advised that one of those two entities be used, as publishers are often the subject of copyright infringement actions, among other things. The choice between a corporation and a limited liability company is frequently a personal one. The corporation is a more formal structure than the the LLC, involving the selection of a board of directors, a president, sometimes a vice president, and a secretary and treasurer. The limited liability company, on the other hand, can take many forms. It can be member managed, similar to the management style of partnership or it can be manager managed, either in simple arrangement where one person acts as a manager, on in a configuration more like the corporation, where there are individuals serving in the various roles of president, vice president, secretary and treasurer. It is this greater flexibility of management that spawns the popularity of the limited liability companies in today’s culture. One should not be so quick to decide, however, without the input of a good tax consultant and/or attorney. Once a decision is reached as to the type of business entity the music publishing company will take, it will be necessary to determine a name for the publishing company. This is where forming a music publishing company differs somewhat from other businesses, because of a music publishing company’s interaction with the major performing rights organizations (PRO’s), primarily ASCAP, BMI and SESAC. Whereas a songwriter can only affiliate with one PRO at a time, a music publisher affiliates with all three if it intends to conduct significant business. In order to submit an application, each PRO requires, among other things, that a music publisher give three choices for names in order of priority. So, when choosing a name for your music publishing company, bear in mind that you will need at least nine variations in order to submit applications to the PRO’s. To illustrate this point, consider the various entities used by Sony ATV Music Publishing Nashville, a major player in the Nashville music publishing arena since its purchases of Tree Publishing and Acuff Rose Music merged two of the giants in the history of the Nashville music industry. One recently charted song by Taylor Swift, Our Song, is owned in part by Sony ATV’s BMI publisher affiliate, Sony/ATV Tree, BMI. Another song on Billboard’s country single chart this week is Rascal Flatt’s Take Me, which owned in part by Sony ATV’s ASCAP affiliate, Sony ATV Tunes, ASCAP. Finally, Sony ATV also has a SESAC affiliate, which goes by the name Sony ATV Sounds, SESAC. A closer examination reveals that each of these entities are separate entities, probably owned in whole or in part by the parent conglomerate. As a side note, Sony ATV Music Publishing Nashville was recently name country music publisher of the year 2007 by all three PRO’s, ASCAP, BMI and SESAC, making it the first publisher in history to do so. Read about it here. You’ll note that Sony ATV uses a different, creative variation of the name for each PRO affiliate, a pattern often followed by other publishing houses, such as Warner Chappel Music, which has variations such as WBM Music SESAC, WB Music ASCAP, Warner-Tamerlane Publishing, BMI, and Warner Chappel SOCAN (a Canadian PRO). Smaller publishers may not wish to follow the course of Sony ATV by maintaining separate limited liability companies for each publisher affiliate and parent LLC, as this can lead to greater expense in the formation of the company. Rather, one option would be that one entity can be used for the parent company, and operate subsidiaries under assumed names for each of the publishing affiliates. Once you’ve determined the names to be used and the types and numbers of entities you’ll be using, the next step is to prepare and file the appropriate documentation with the secretary of state in the state you’ll be operating your business. Information about formation of a business entity in Tennessee is available from Tennessee’s Secretary of State. Then, in Tennessee, you must register the entity in the Register of Deeds office for the county in which your principle place of business resides. Next, you’ll need to obtain a Taxpayer Identification Number from the IRS by filing Form SS-4. Finally, you’ll need to apply as an affiliate at each of the following PRO’s: ASCAP, BMI & SESAC, assuming, of course, that you intend to contract with writers from each of these affiliates. You’ll note that SESAC has a different process than ASCAP or BMI in that the process is more selective and requires that you initiate contact with their Publishers Relation Staff prior to being reviewed for affiliation. You might also want to explore joining an organization such as the National Music Publisher’s Association, which owns and operates the Harry Fox Agency, an organization that serves as the clearinghouse for the collection and distribution of mechanical and digital license fees. After this, you need to begin the process of developing agreements that will be used to sign songwriters to your various affiliate companies. Work with a good entertainment attorney to customize and draft exclusive songwriting agreements and single songwriting agreements as an basic first step in this process. Then, you’re ready to start scouting talent! This article is intended as a basic outline of the steps required to form a music publishing company. It is not intended as, and should not be substituted for, the advise of a good entertainment attorney, which should definitely be retained and consulted prior to starting this entire process. Expect to spend somewhere in the range of $5,000-10,000 in various legal fees to complete the entire process. This blog series will explore music publishing, giving a little bit of history and outlining the basic steps necessary to form a music publishing company. Part 1 looks at a brief history and background of music publishing. Modern music publishing in the United States can trace its roots to “Tin Pan Alley,” the name given to a grou p of sheet music publishers who collected on West 28th Street in New York City in the late 19th, early 20th Century, when names like Irvin Berlin and John Philip Sousa were the leading composers. This coincides roughly with the invention of introduction of Thomas Edison’s Gramophone and the phonograph cylinder. Tin Pan Alley publishers were concerned mainly with selling sheet music and piano rolls. The most dramatic shift in popularity from printed music to recorded music did not occur until the development of the “talkie,” when The Jazz Singer was released in 1927. In 1914, ASCAP was formed to protect the copyrighted music compositions of its members. The organization expanded with the introduction of the new invention called radio in the 1920’s. Because owners of radio stations did not like paying what they considered exorbitant license fees to ASCAP for the performances of musical compositions, the broadcasters formed their own organization, BMI (Broadcast Musicians Inc.) in an effort to drive the license fees down. Modern music publishers are in the business of engaging composers, i.e., songwriters, and obtaining ownership of their copyrights. In exchange for the copyright, the music publisher agrees to exploit the composition to potential licensees (a process generally referred to as “song plugging”), administer the copyright, collect the mechanical royalties and license fees, and distribute a portion of the collected monies to the composer. 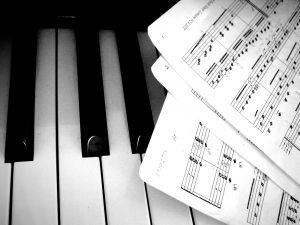 Most music publishers will offer promising composers what is called an “exclusive songwriter agreement” in which the composer is obligated to provide the publisher with a minimum number of commercial musical compositions within a certain period. The composer generally receives a “salary,” which is fully recoupable from future royalties. Again, the publisher gives up the copyright in the musical composition in this type of deal. Another, less common deal type, which is reserved for songwriters who have some clout in the industry, is called a “co-publishing deal” This arrangement is usually very similar to the exclusive songwriting arrangement discussed above, except that the songwriter only gives up half of the copyright in the musical composition and retains the remaining half. Less often, music publishers offer “single song agreements” to composers who may have one or two compositions that interest the publisher, but not enough that it feels warrants a longer term commitment. Most major publishing houses do not offer these type of agreements. They are generally the purview of independent and upstart music publishers. There are myriad gradations of these deals, and the terms in any one agreement can be as varied as an artist’s palette of colors, so if you are interested in music publishing agreements, please contact a reputable music attorney prior to obligating yourself or giving up a copyright. Tomorrow’s installment of Music Publishing 101 will discuss the basics of forming a music publishing company. 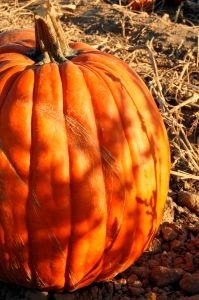 I want to wish all of the readers of Law on the Row a very happy and safe Thanksgiving. As a result of the holidays, this has been a slow posting week for me. Rest assured that I will back with something to say next week. Thanks for supporting my blog. The Senate Judiciary Committee is holding a high-profile hearing today on the subject of imposing additional performance royalties on so-called “over-the-air” or “terrestrial” radio stations (I’ll just call them OTA’s in this article). Investigative hearings such as these are usually precursors to legislation being introduced on the subject. Grammy winner, Lyle Lovett and Chicago-based singer-songwriter Alice Peacock testified before the Committee this morning at 9:30 ET. Their testimony was broadcast live at C-SPAN. So, what is the issue. OTA’s and the music industry are currently engaged in one of the biggest industry and lobbying battles to hit Washington in quite some time. The OTA’s fired a recent shot when a concurrent resolution was passed by Congress. Now, the music industry is firing back. One of my recent blog entitled New concurrent resolution, H.Con.Res 244, introduced to combat performance royalties for record labels gives some background on the issue, which is basically this: Currently, OTA’s pay performance royalties to ASCAP, BMI and SESAC in the U.S. for airplay performances of the musical composition copyright. They do not, however, pay a performance royalty to the owners of the sound recording copyright for over the air performances of the copyright. The sound recording copyright is distinct from the musical composition copyright. This is because when Congress introduced new legislation in the mid-90’s to grant sound recording copyright owners a right to performance royalties, it specifically excluded OTA’s from the legislation on the basis that the artists and record labels who owned the sound recording copyrights benefited from the publicity of over the air performances, which offset the need for payment of a performance royalty. Keep in mind, again, that this does not apply to the performance royalties paid to songwriters and music publishers. The effect of the Digital Performance Royalty in Sound Recordings Act of 1995 is that only digital performances of the sound recording copyrights are entitled to compensation. 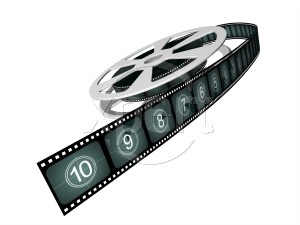 This applies only to Internet webcasters, Cable Radio and Satellite radio stations. These types of services — Pandora, Sirius, XM Radio, Last.fm, for example — pay performance royalties to both the owners of the musical composition copyright and the sound recording copyright. Many industry groups are rallying to rectify what is viewed as an unfair advantage for OTA’s. One such group is musicFIRST, which stands for “fairness in radio starting today.” This organization is made up of a large and impressive group of recording industry groups and well-known artists. Unfortunately, the RIAA’s involvement in this organization has diminished its reputation on many blogs, such as this article entitled Lovett goes to bat for radio royalties, the credibility of which is call into doubt by the fact that the writer is ostensibly unaware of Lyle Lovett’s reputation and notoriety. But don’t make the mistake of slanting your opinion against musicFIRST based on that organization’s involvement. Check out the website and seriously consider the issues and you’ll probably understand their perspective. There is tremendous validity to the argument that radio broadcasts no longer hold the same sway over consumers that they did in 1995. One research study conducted by Dr. Stan Leibowitz, an economics professor at the University of Texas, compared record sales and music radio listening habits in nearly 100 cities across the United States and found that exposure for a song on the radio was a substitute for purchasing the music and, therefore, actually had a negative impact on sales of music. Critics point out that the study was funded, at least in part, by the musicFIRST coalition and say that there are studies which indicate the opposite, that is that radio airplay stimulates interests in new music and therefore encourages sales. Think about your own habits – when was the last time you heard a song on the car radio and rushed to buy it? Another argument propounded by the OTA’s in opposition to payment of royalties to the owners of sound recording copyrights is that it would put them out of business. They simply can’t afford to pay more royalties for the music they use. Of course, Internet webcasters and Satellite and Cable radio providers are saying “talk to the hand . . . call waiting!” But the truth is that OTA’s get the bulk of their revenue from advertisers and their revenue increases if they attract larger audience by playing the latest music. Furthermore, stock analysts are predicting that advertising revenues, in general, are on the increase for the foreseeable future. 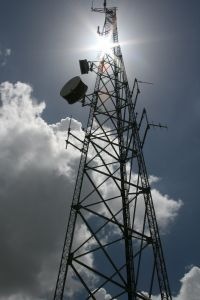 One researcher, George Williams, reportedly found that the annual growth of radio advertising rates from 1996 to March 2007 was 10% a year, outpacing the Consumer Price Index by more than three times its 3% a year rate. It is very doubtful that OTA’s revenues would be seriously altered by this legislation, in fact, the OTA’s would more than likely simply pass the additional costs on to advertisers. The bottom line, in my view, is that the legislation, when it is finally proposed, will create a level playing field for the broadcasting industry, providing that both digital and OTA’s pay the same royalties. This seems fair, doesn’t it? Now, whether the powerful OTA lobby will prevent the passage of such legislation is a blog for another day. Amy Kurland’s Blue Bird Cafe on Hillsboro Road in Nashville is the kind of stuff of which fairy tales are made. Now, Kurland has left the legacy in the hands of Nashville’s best songwriting organization, NSAI (Nashville Songwriters Association International) — a fitting end a dynasty. The legend of Blue Bird Cafe, which first opened i n 1982, is widespread. Among others, Garth Brooks and Kathy Mattea both got their record deals after playing at the Bluebird. It was prominently featured in River Phoenix’s last film, The Thing Called Love, and it also has been featured on television so often it is difficult to enumerate. It has been the subject of books, both fiction and non-fiction. 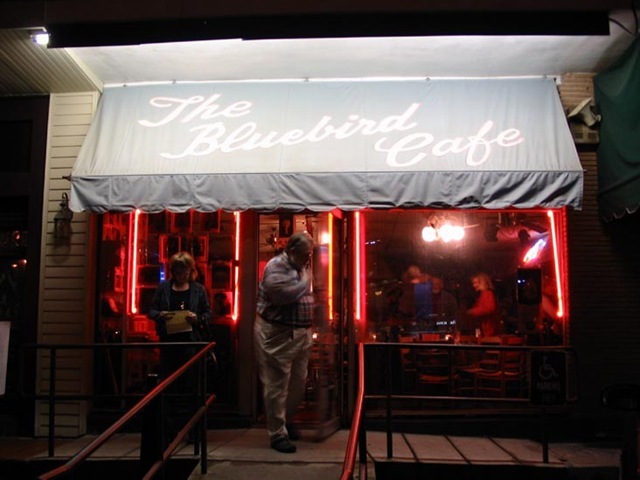 Ask any songwriter in Nashville — and for that matter in most parts of the country if not the world — what venue they’d most like to play at, and the most likely answer is the Bluebird. Although the terms of the deal are confidential, the basic deal points are that Kurland will continue to own the real estate and lease it to NSAI, and NSAI purchased the business at a price rumored to be in the low six figures. “I couldn’t think of anybody else other than [NSAI] that would have the same mission, the same love in their heart for songwriters,” Kurland told the Associated Press. The official announcement of the transfer was made before a performance by Kris Kristofferson. The transition takes place January 1.